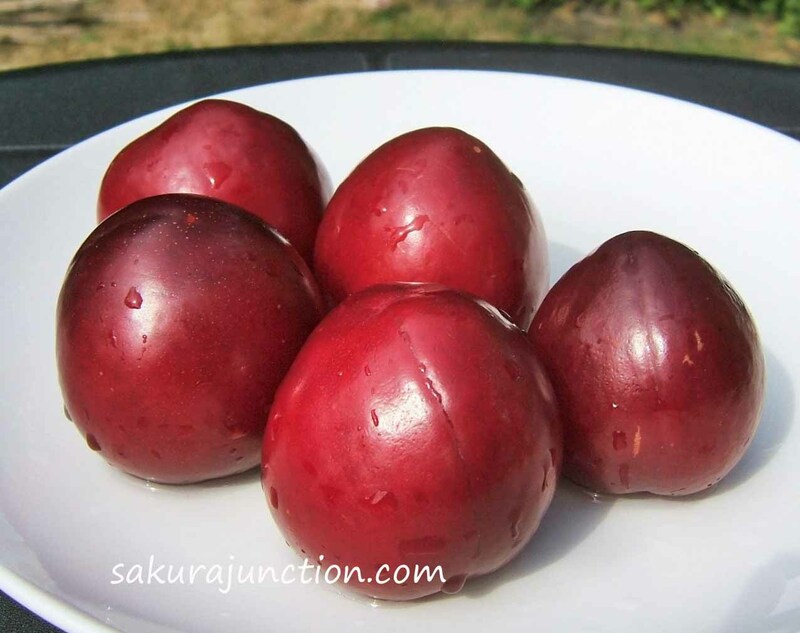 Cut plums in half and remove stone. 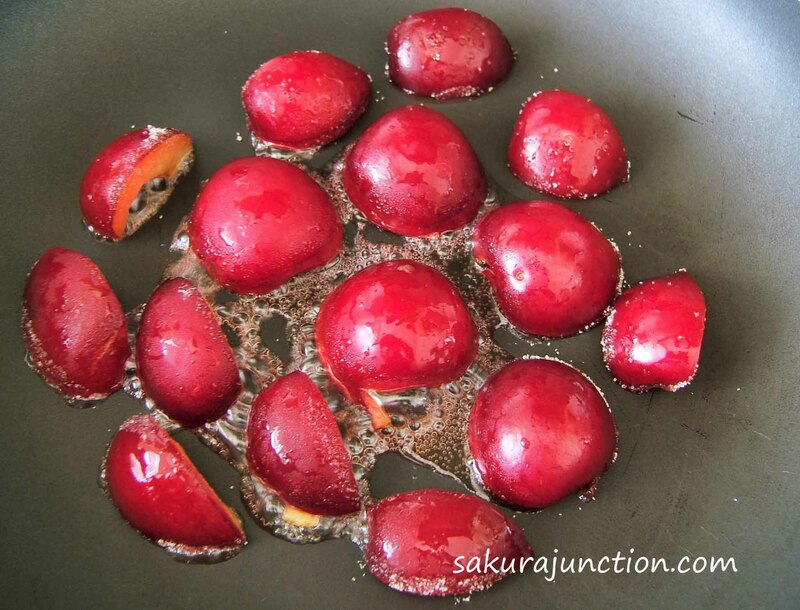 Heat a frying pan and place the plum facing down in the pan. 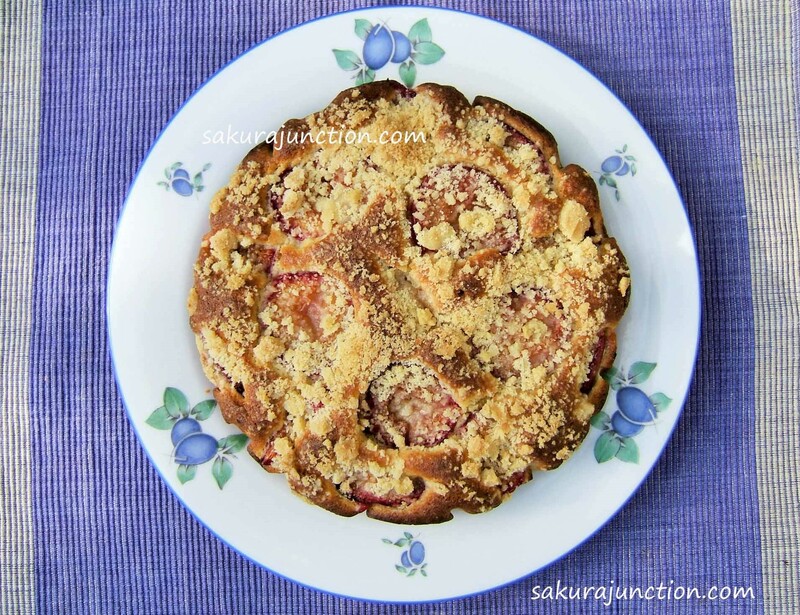 I sprinkled some sugar on the cut surface of the plum before putting them into a pan because the fruit was lacking the natural sugar. Caramelise the halved surface and put them aside to cool down. Mix soften butter and sugar in a bowl well until they become fluffy and lighter colour. 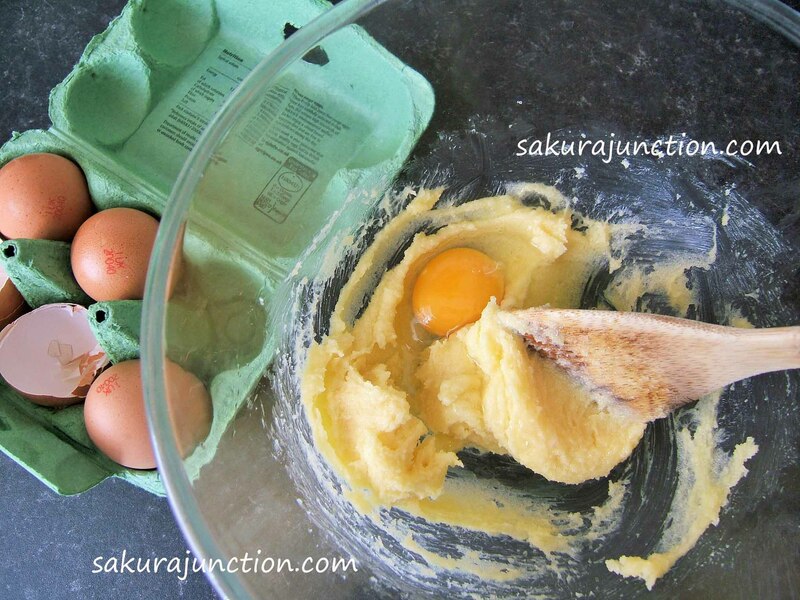 Add eggs one at a time and mix with the dough well each time. Add Honey, Lime Juice, Vanilla Extract and Milk into the bowl mix well together. Sieve all the dry ingredients and add it in to the mixture. combine well. Place the mixture into a tin. 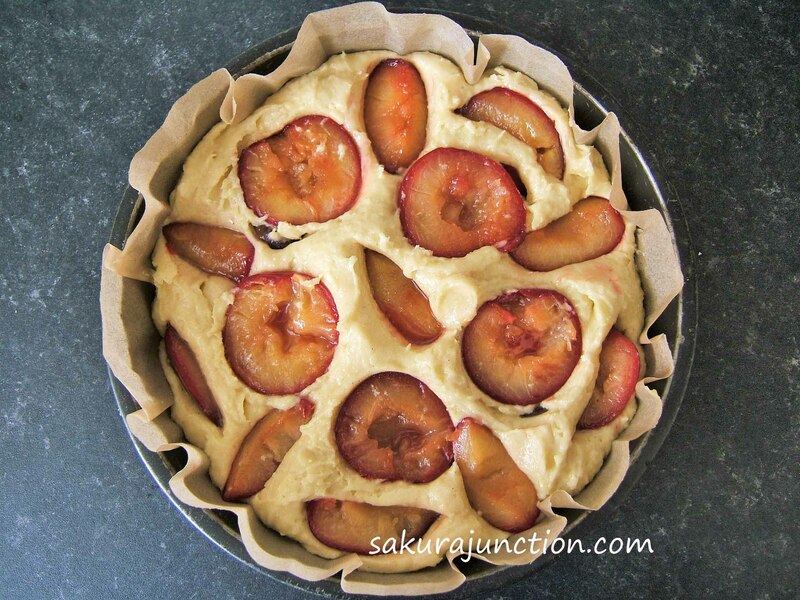 Place & push the caramelised plums on top of it. 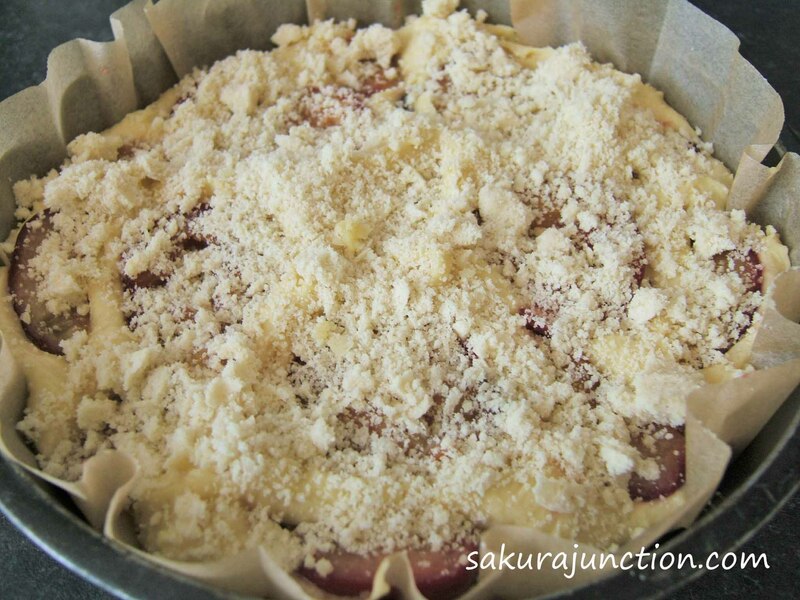 Make crumble in the same bowl and sprinkle it on top. Place the tin in the preheated oven at 180°c. Bake it for about 25 minutes until the top becomes golden brown. Serve it when it cools down maybe with some Creme Fresh. You may have already spotted it. It’s burnt a little at the bottom. Let me explain about that. 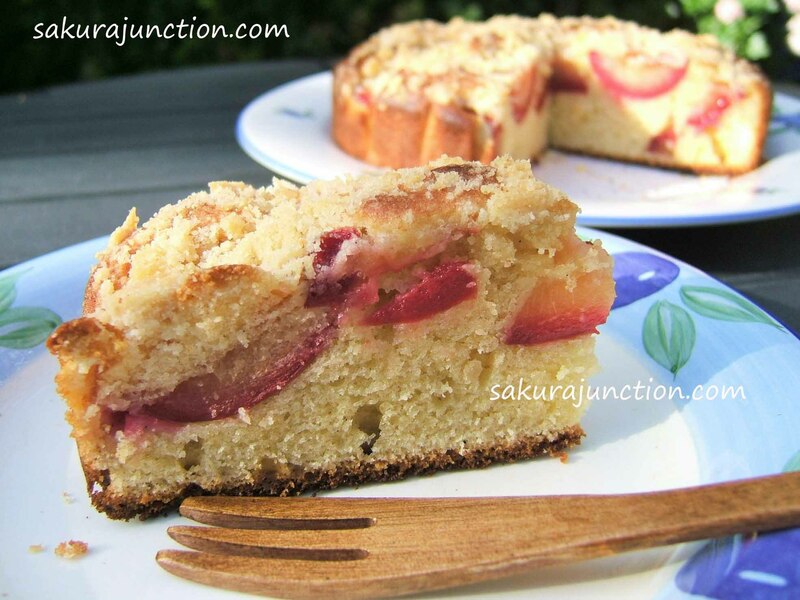 I used a very small electric oven for making this cake. The bottom heat is very close to the tray. Actually it is too close so I normally put some foil or something underneath a tin to soften the heat. but the day I made this cake we ran out of foil and I had forgotten about adjustment … so the overbaked bottom was the outcome. At least it hasn’t got a soggy bottom! Mmm love a good crumble! Never tried it with plum but this sounds delicious. 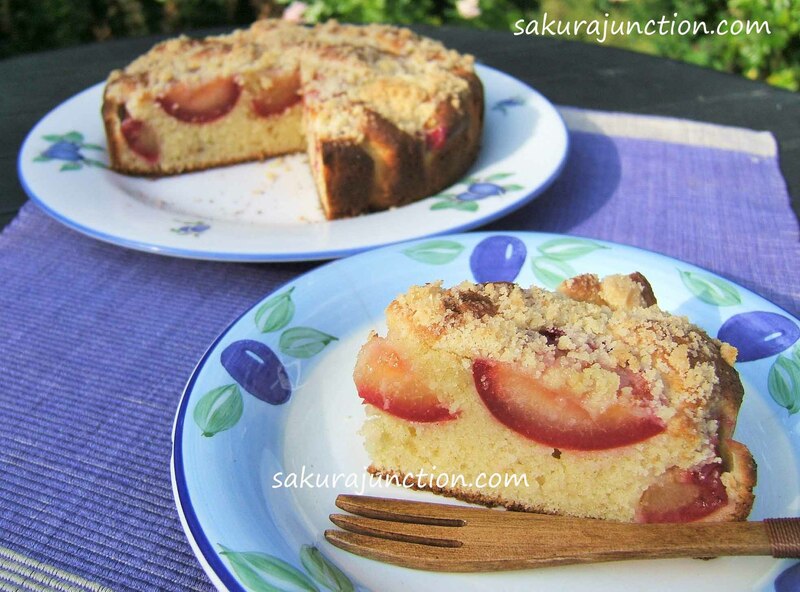 Will have to add it to my list of recipes to try! Thank you. Let me know how it went when you try this. Ta! Btw I nominated you for the Infinity Dreams Blog Award http://www.rendezvousennewyork.com/from-infinity-to-beyond-the-infinity-dreams-award/ Congrats!